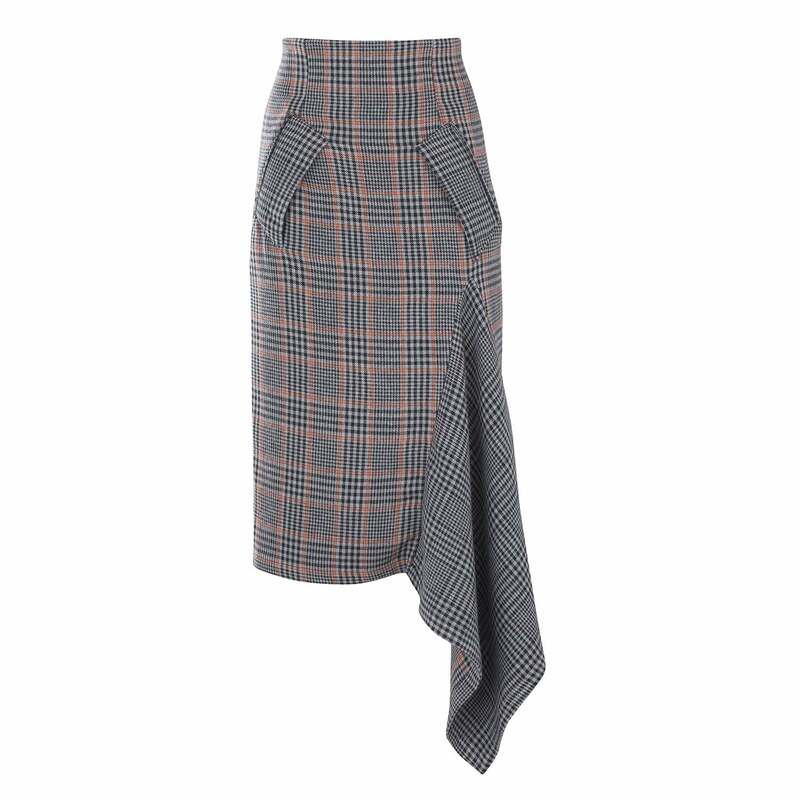 Fall in love with the high-waisted Antonella skirt, one of our favorite silhouettes yet that is sure to become a classic. A slight ruffle that falls below the hem allows for beautiful movement and contrasts with the pocket flaps up top. 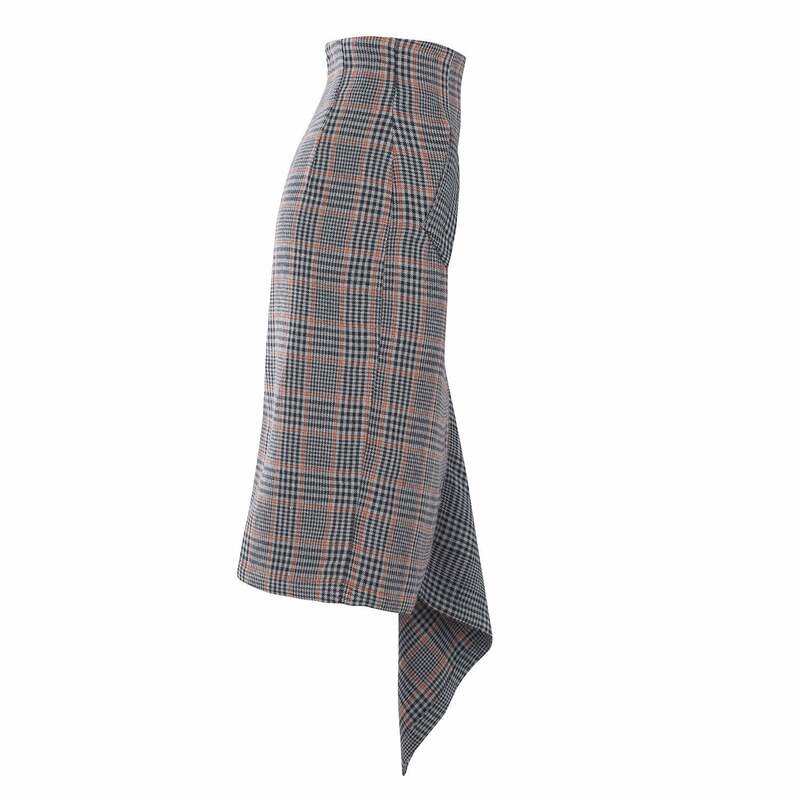 While the checked fabric is a well-known classic, the beautiful drape and body-hugging fit of the skirt’s silhouette give it a modern, updated feel. 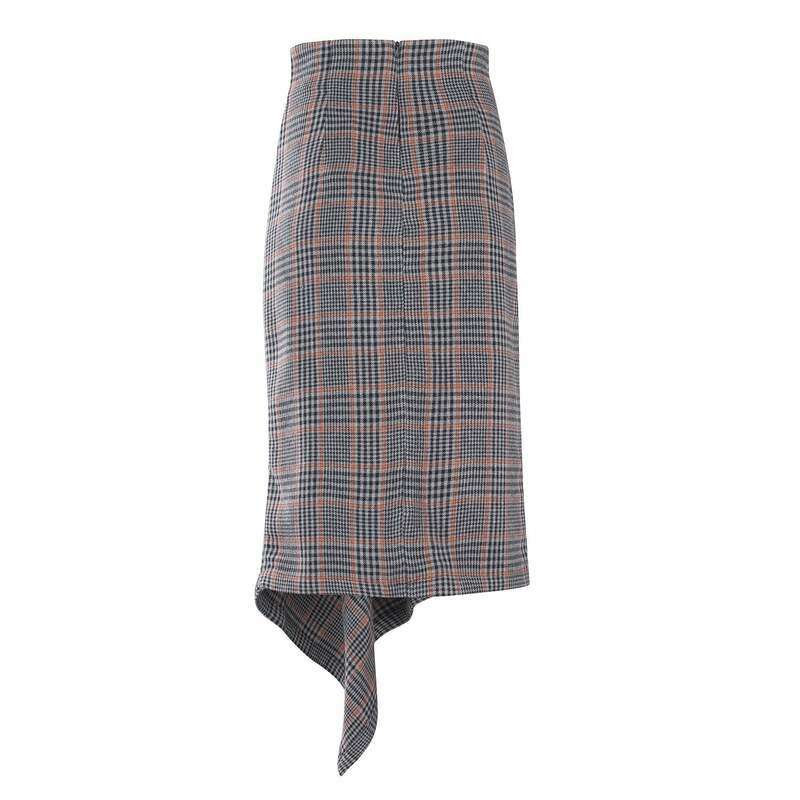 Let this skirt do the talking by pairing it with one of our solid cotton tops or for a more casual look, with a simple tee. Don’t forget your heels!